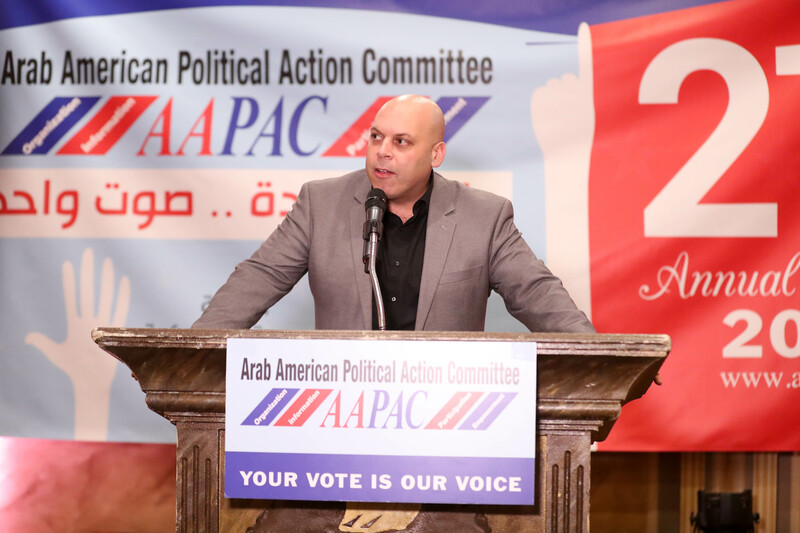 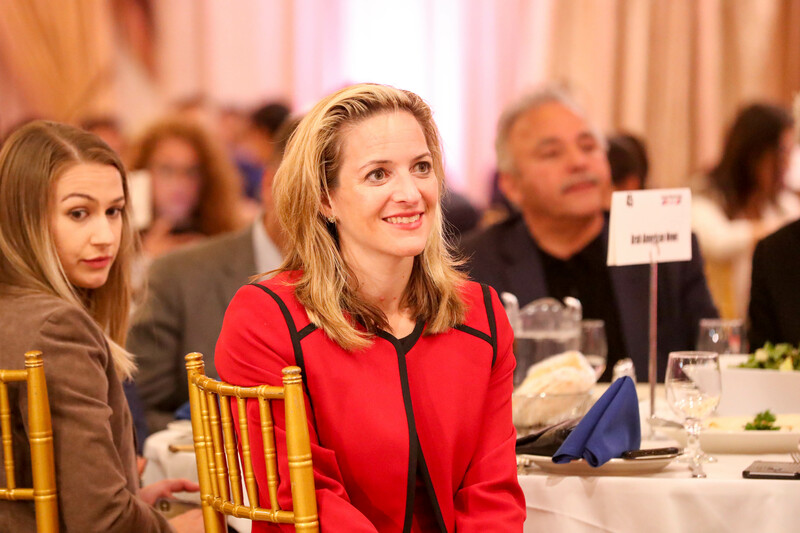 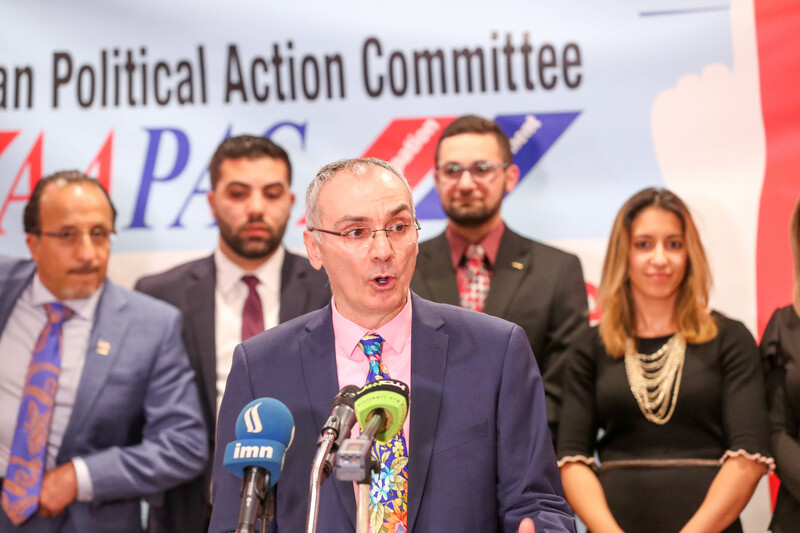 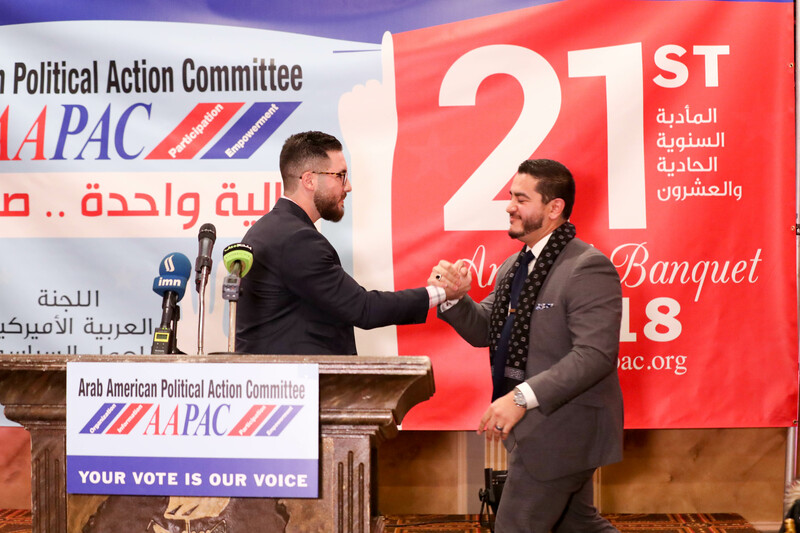 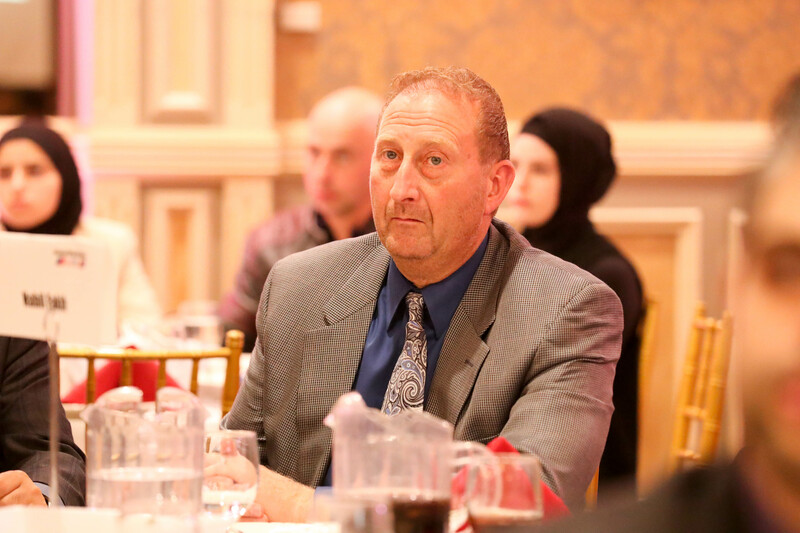 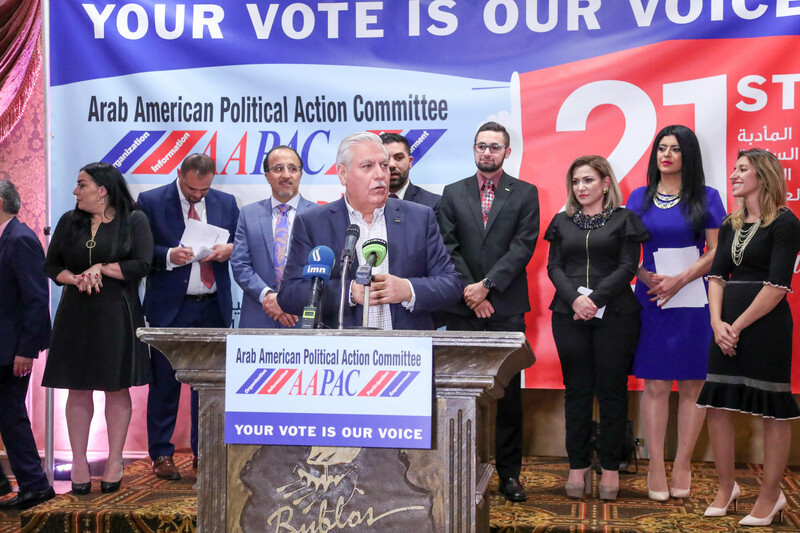 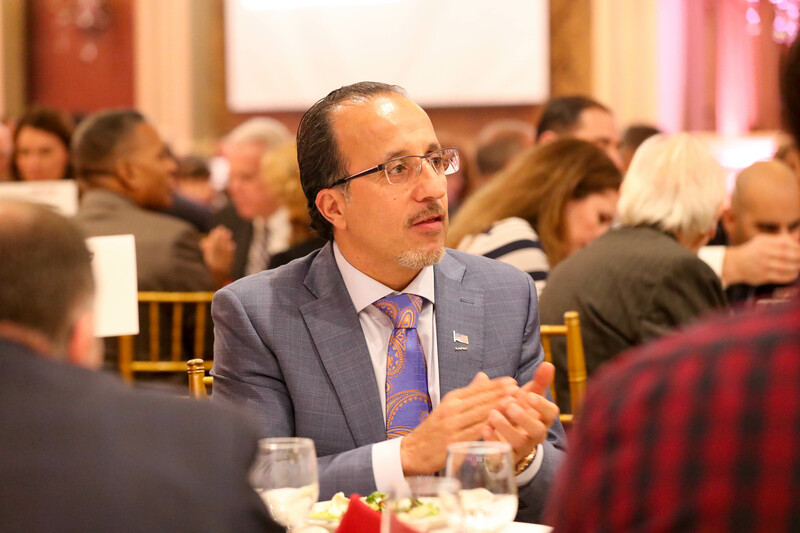 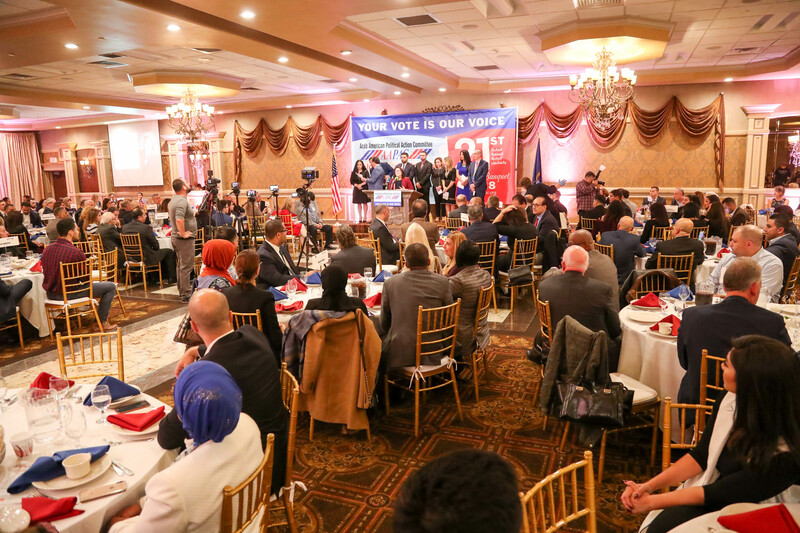 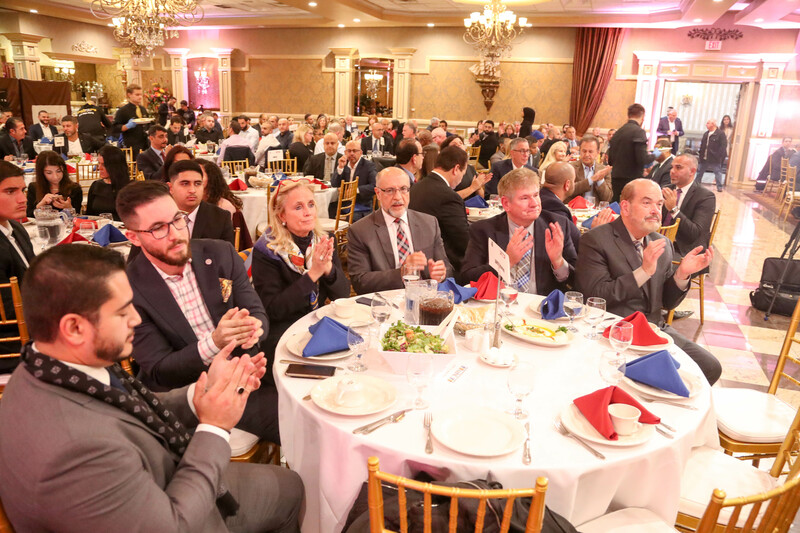 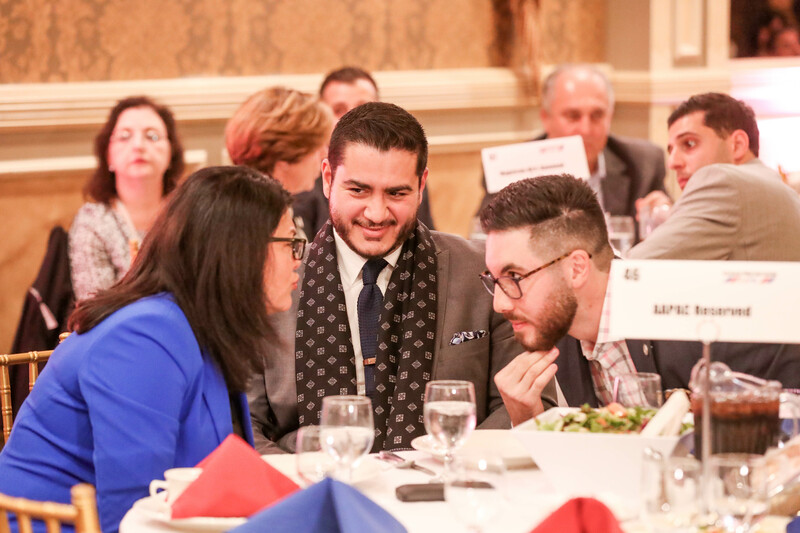 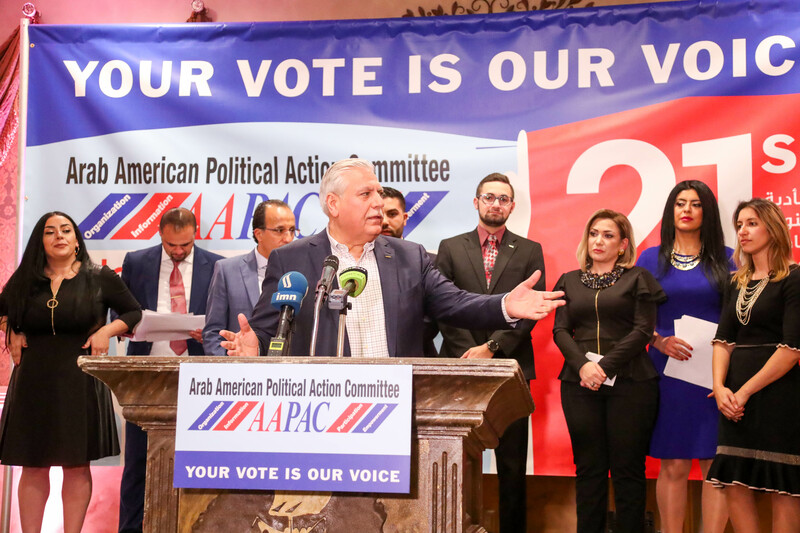 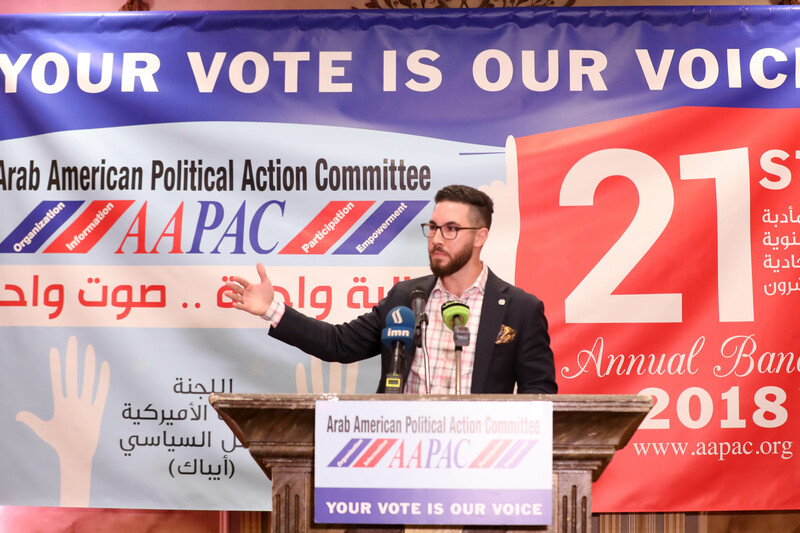 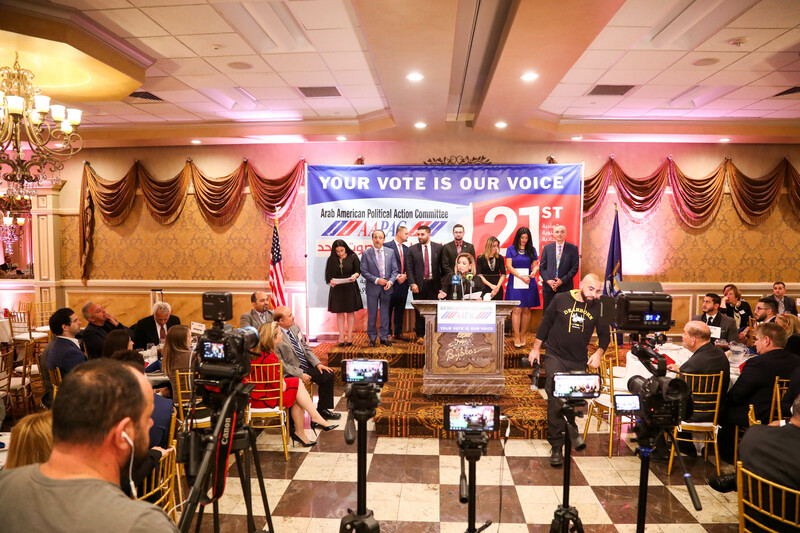 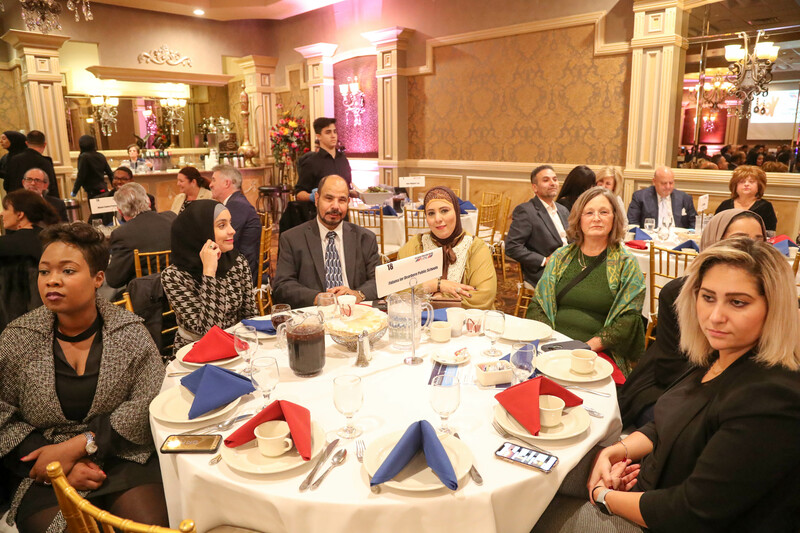 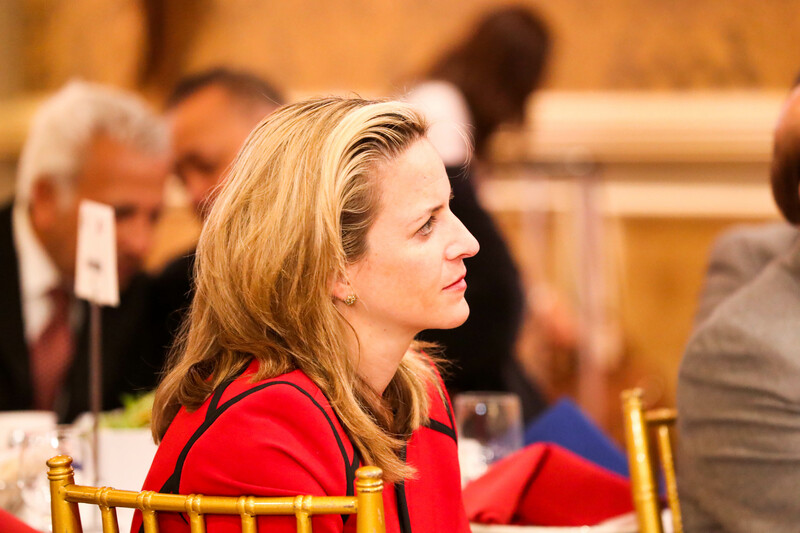 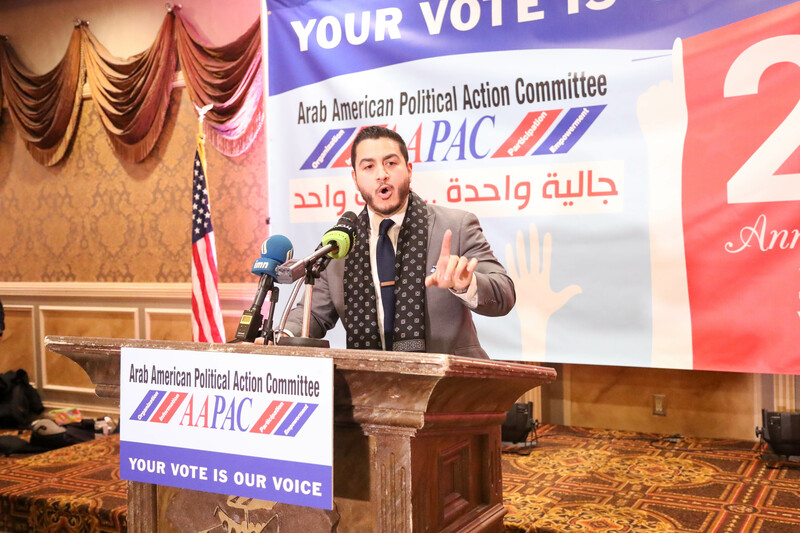 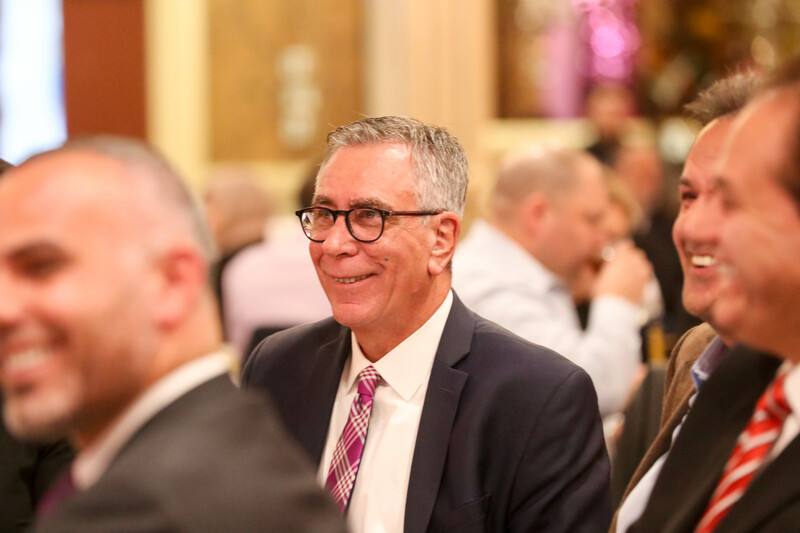 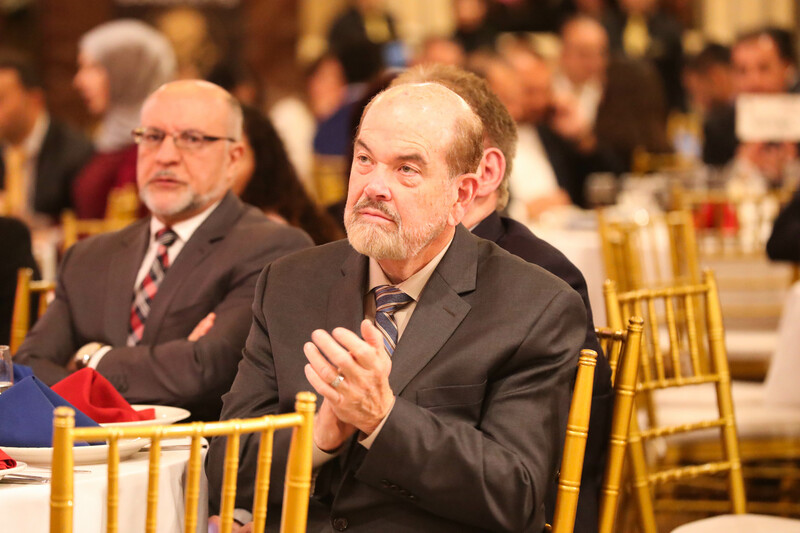 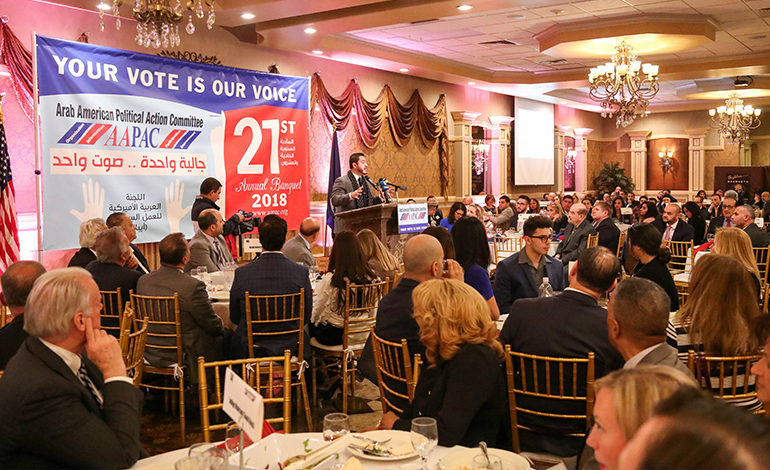 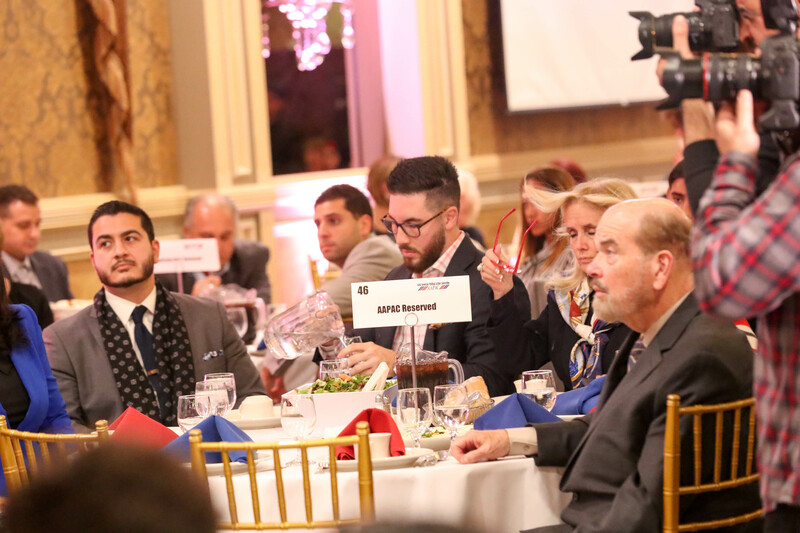 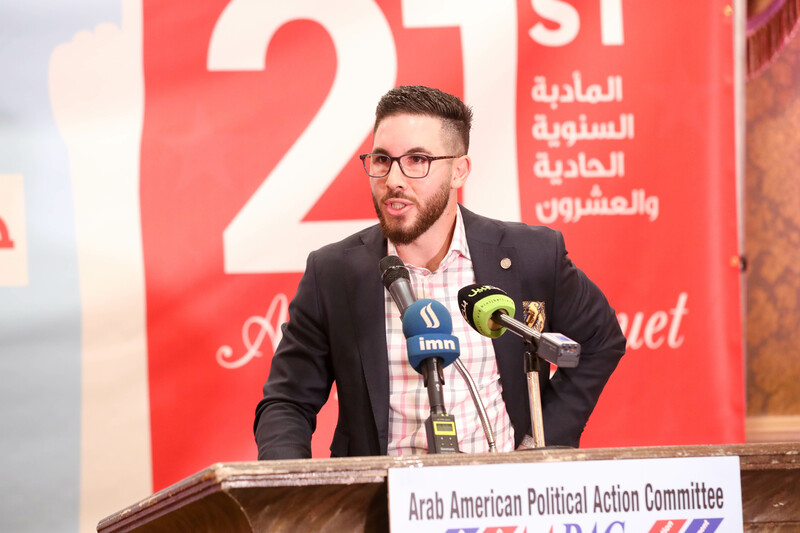 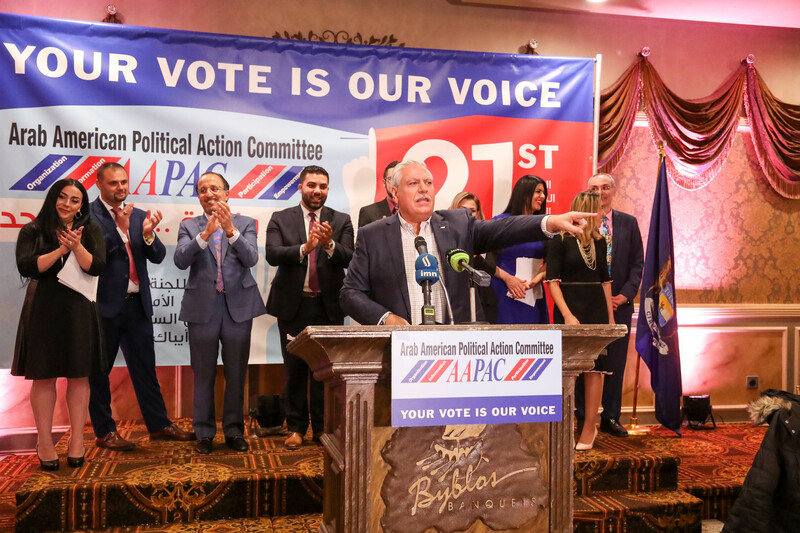 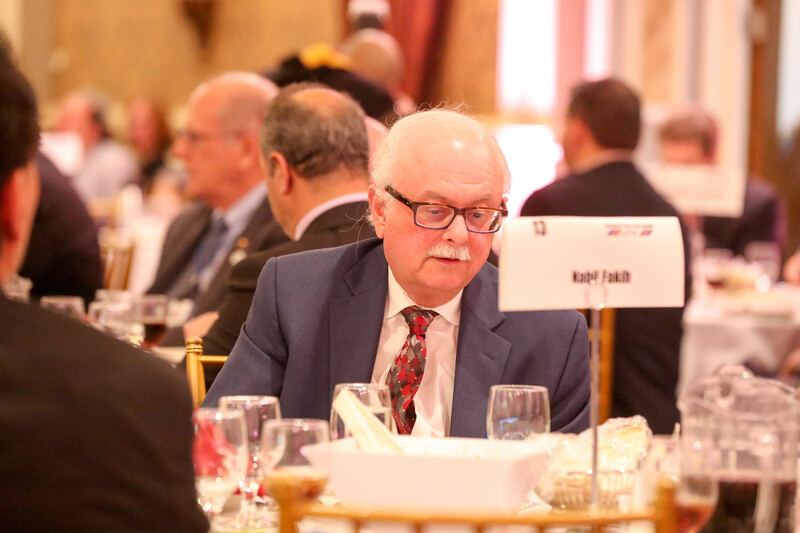 DEARBORN — The Arab American Political Action Committee (AAPAC) hosted its 21st annual banquet dinner on Oct. 24 at Byblos Banquet Center in Dearborn. 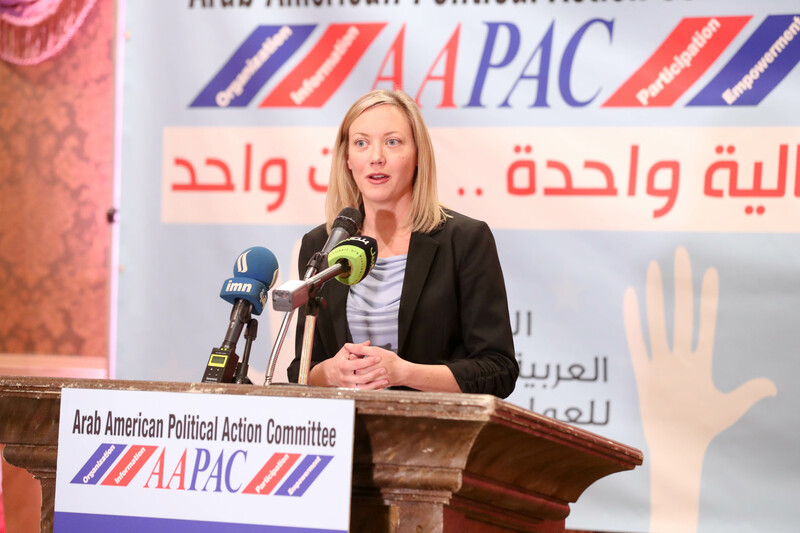 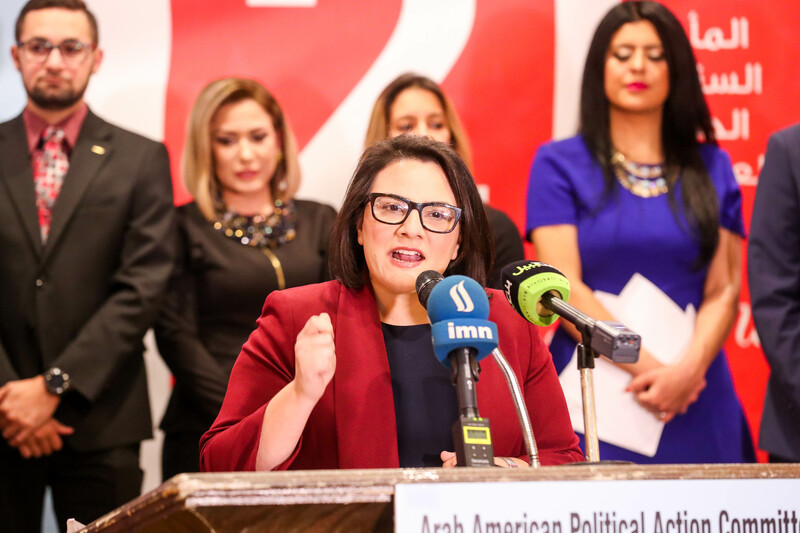 AAPAC President and attorney Mona Fadlallah highlighted the committee’s role in empowering women and encouraging their participation in politics. 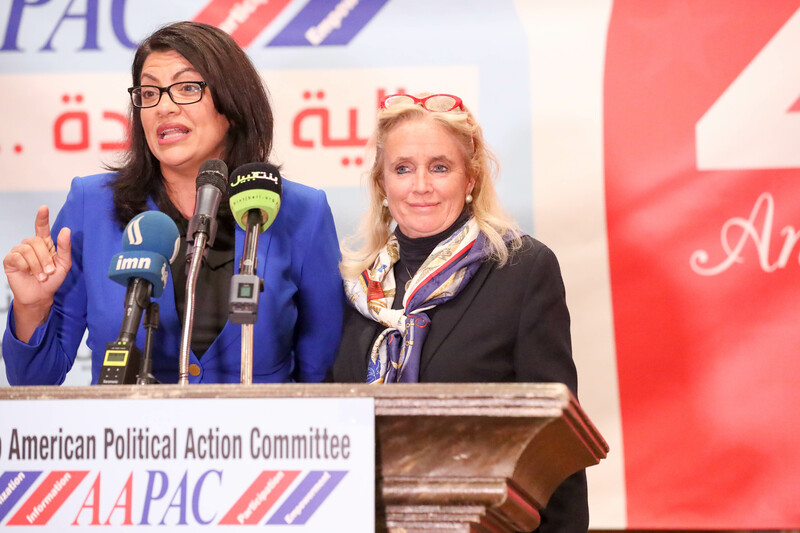 “There has been a record-breaking number of women running for office in 2018,” she said. 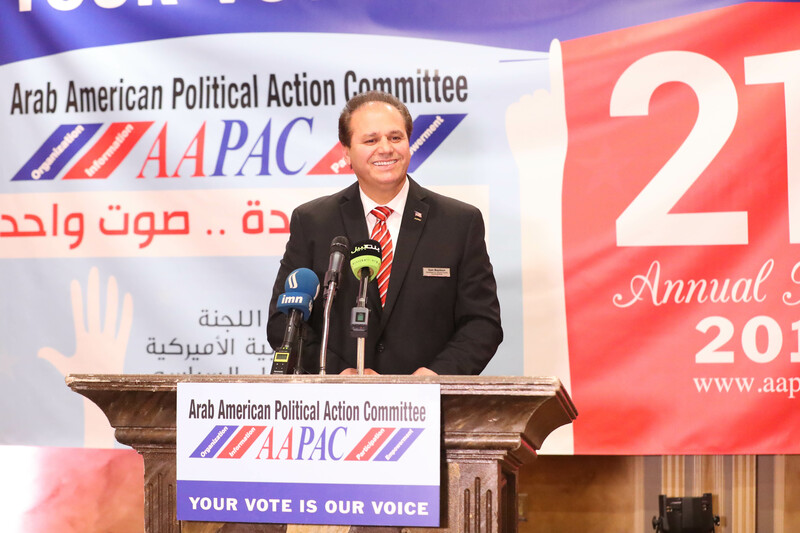 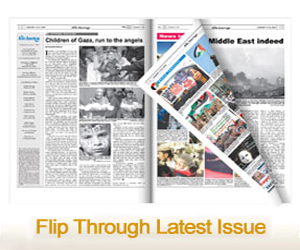 “AAPAC has always encouraged women to join this organization and to be a part of the political process. 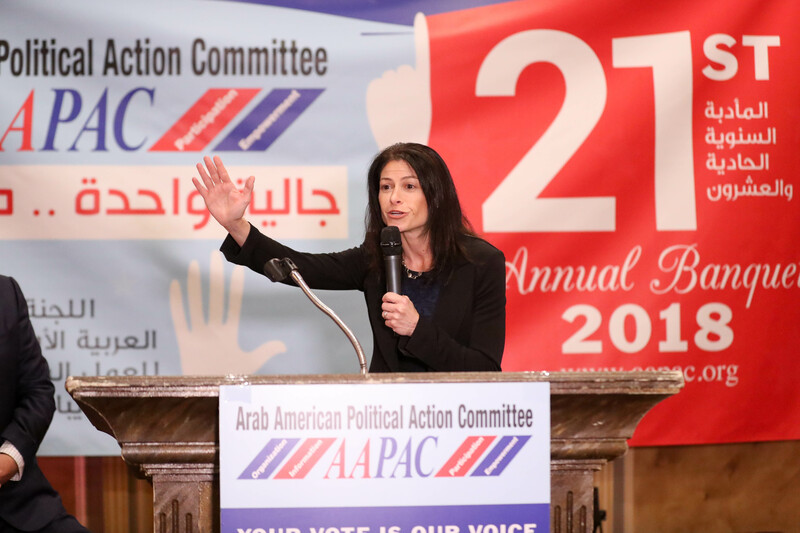 “From its inception, AAPAC has notably delved into arduous matters affecting the community, not shying away from asking tough questions from our elected officials and candidates,” she added. 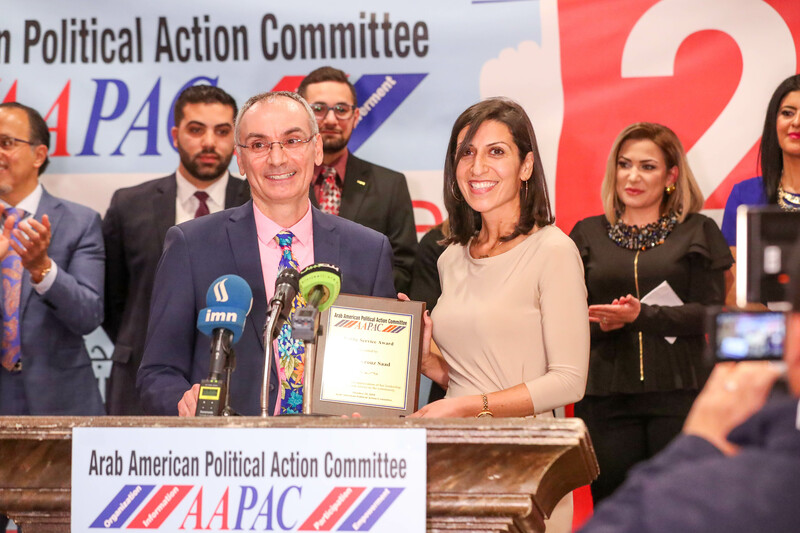 AAPAC officials presented public service awards for their various works of activism to ACLU of Michigan Deputy Director Rana Elmir; former 11th District Congressional candidate Fayrouz Saad and The Arab American News Publisher Osama Siblani. 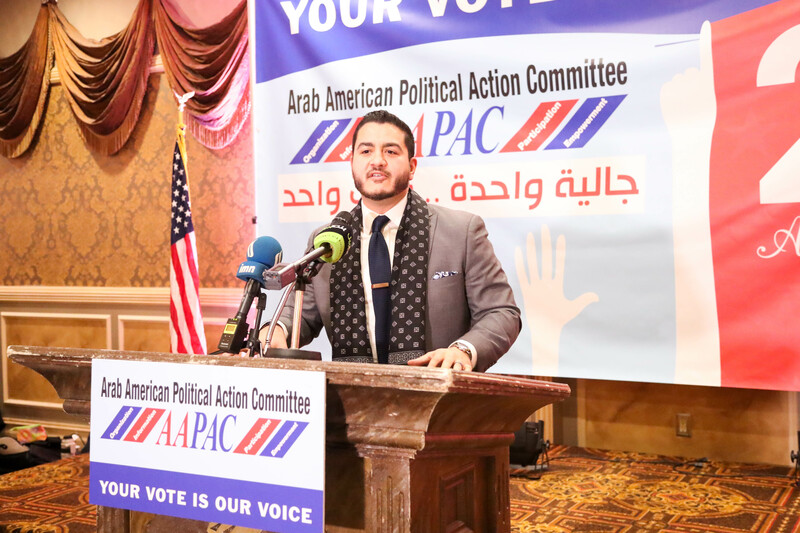 Former gubernatorial candidate Dr. Abdul El-Sayed spoke at the event about AAPAC’s political legacy over the last 21 years. 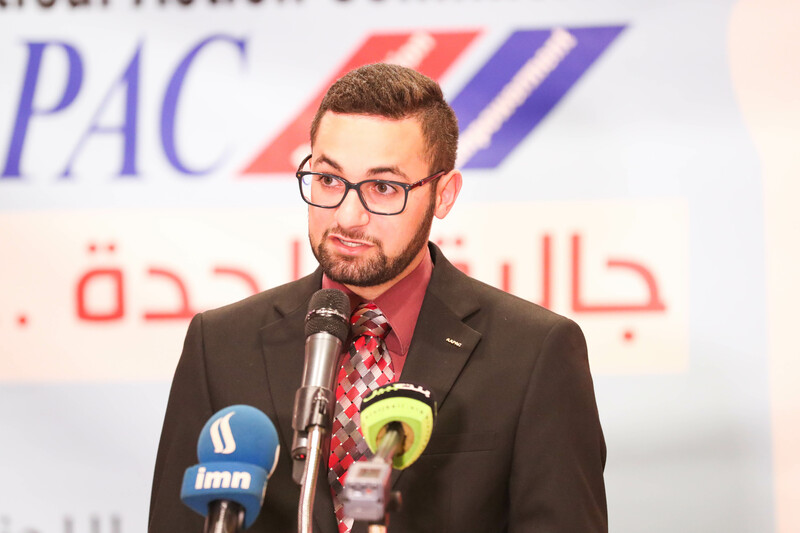 He spoke about the excitement and high participation in the last election. 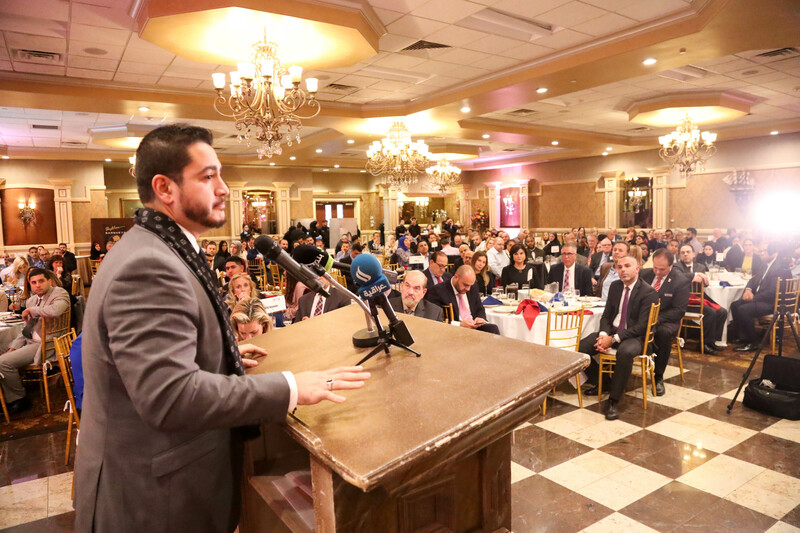 “That kind of push doesn’t happen because of one candidate,” El-Sayed said. 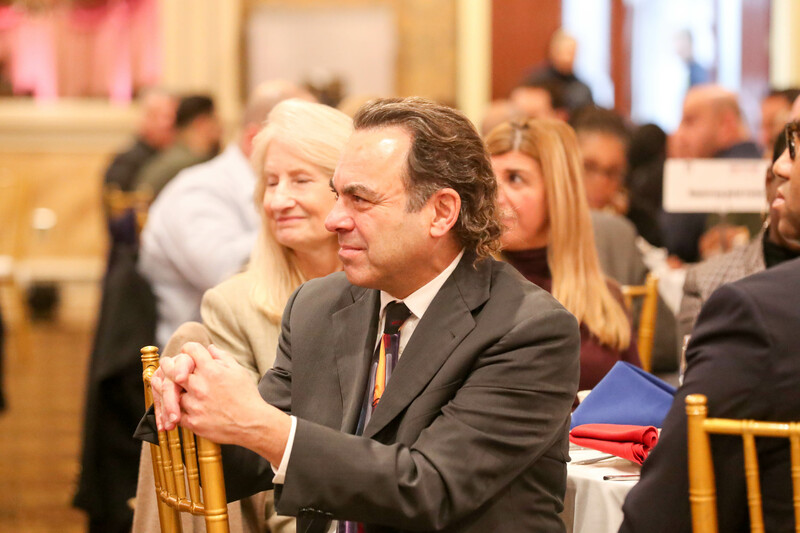 “That happens because of generations of preparation in rooms like this, people laying the groundwork, public servants who have come from many years before with names that look a lot like mine. 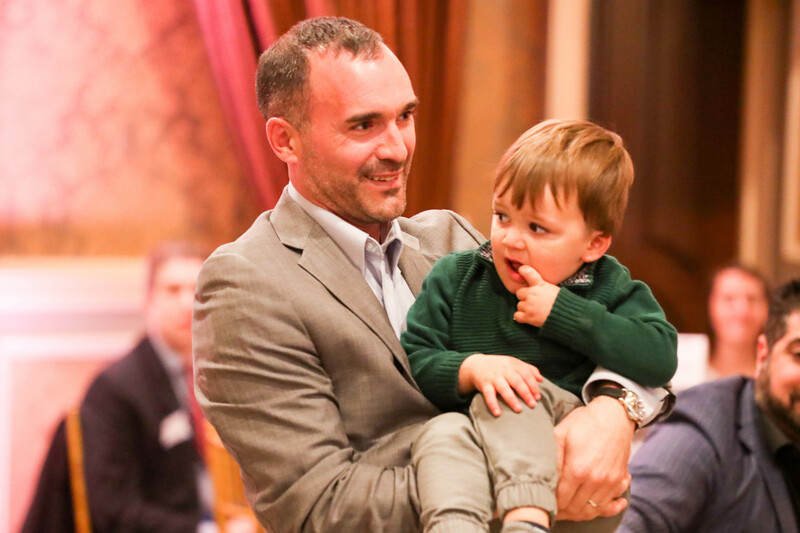 I know that in running I stood on the shoulders of giants. 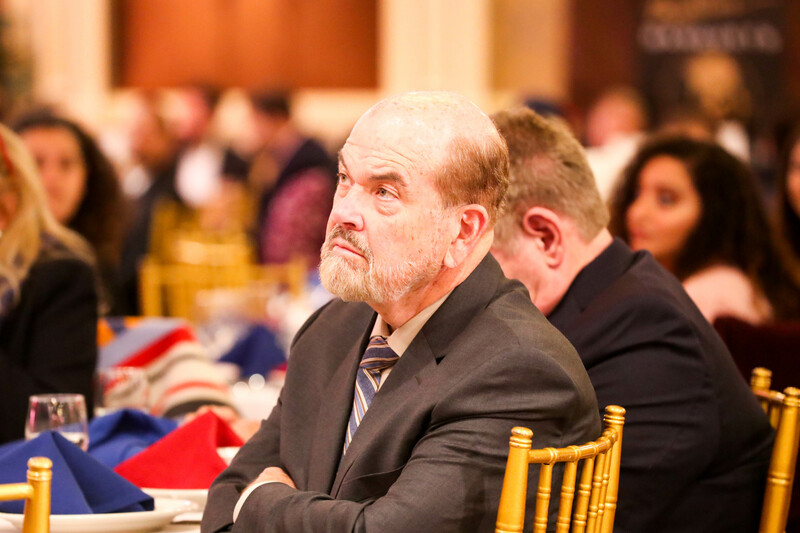 That is everybody in this room, that is this organization. 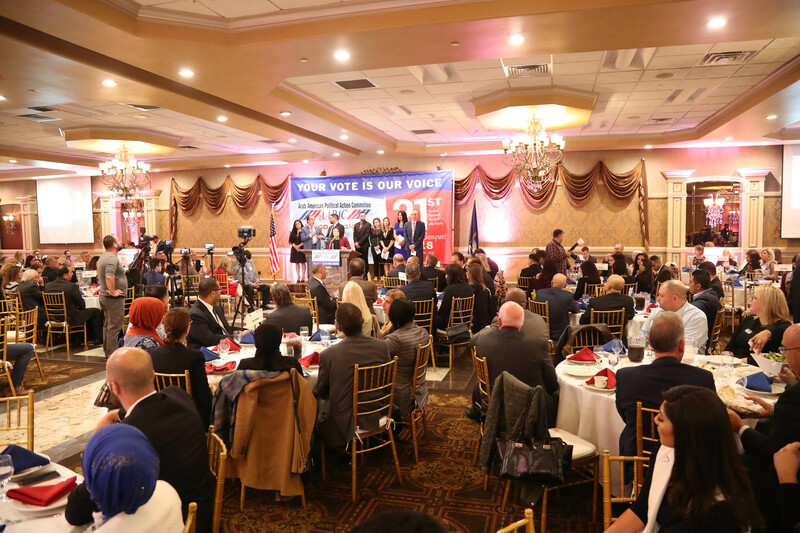 “If we are willing to unify and come together as a community the power that we have in rooms like this can fundamentally change our future,” he added. 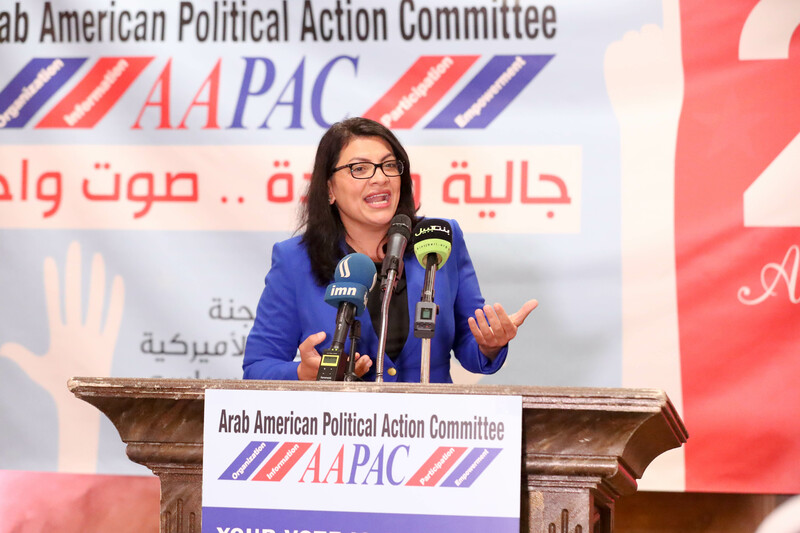 Rashida Tlaib, the Democratic candidate in the 13th Congressional District, told the crowd that AAPAC helps inspire political activism. 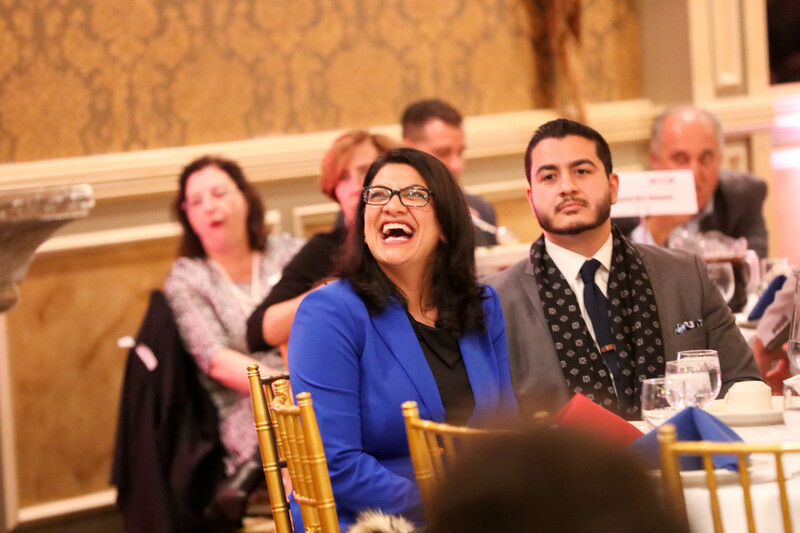 Tlaib then thanked Democratic Secretary of State candidate Jocelyn Benson and her husband for helping her run her first fundraiser. 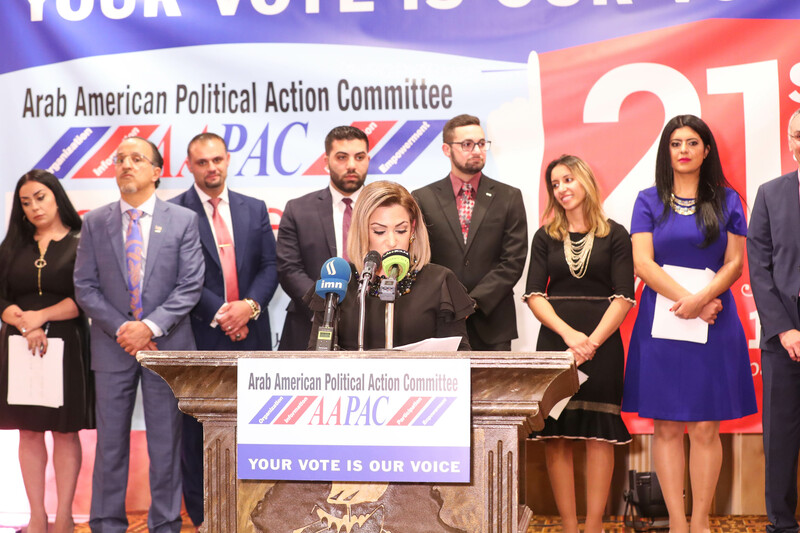 Benson thanked AAPAC for its endorsement and said being in Michigan among Arab Americans made her feel like she was among family. 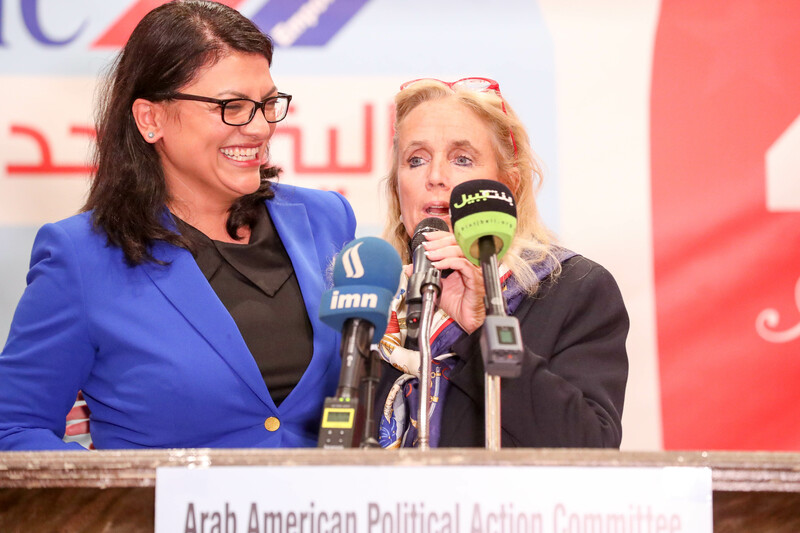 She said the first two people she called many years ago in hopes of increasing voter turnout for Arab Americans were Siblani and Abed Hammoud. 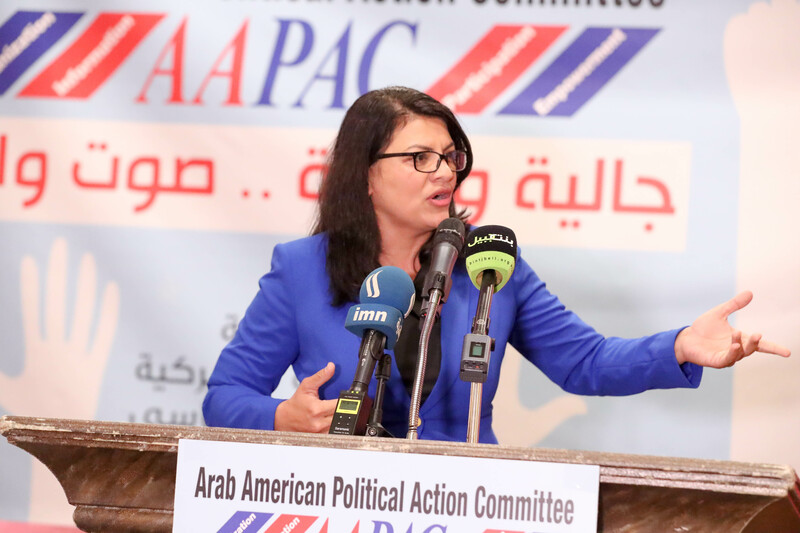 She said Tlaib helped her become integrated in Michigan politics to eventually run for office. 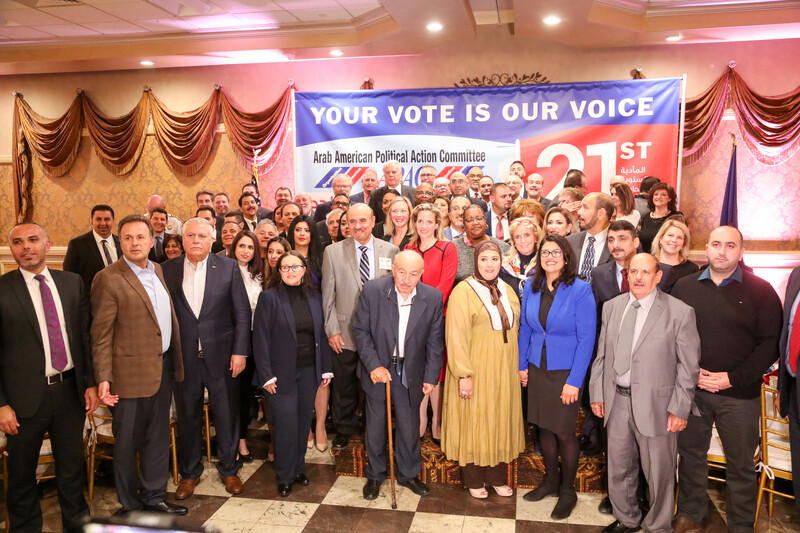 Earlier in the week, AAPAC issued its endorsements for candidates for Michigan governor, attorney general, secretary of state and U.S. Congress among other local and state political and judicial races.